Start by browning the Beef and Italian Sausage in a large pan/skillet so you can work on other parts of the meal while it cooks. In a large bowl add the Cottage Cheese, Eggs, 2 Cups Grated Mozzarella, Parmesan Cheese, and optional Flax Meal. Mix well and set aside. When the meat is done browning, use the same pan and add 1 Jar of Spaghetti Sauce, Mushrooms, Onion, and Italian Seasoning. Mix well and set aside. Grease a seven quart slow cooker then add half a jar of Spaghetti Sauce, spread evenly. 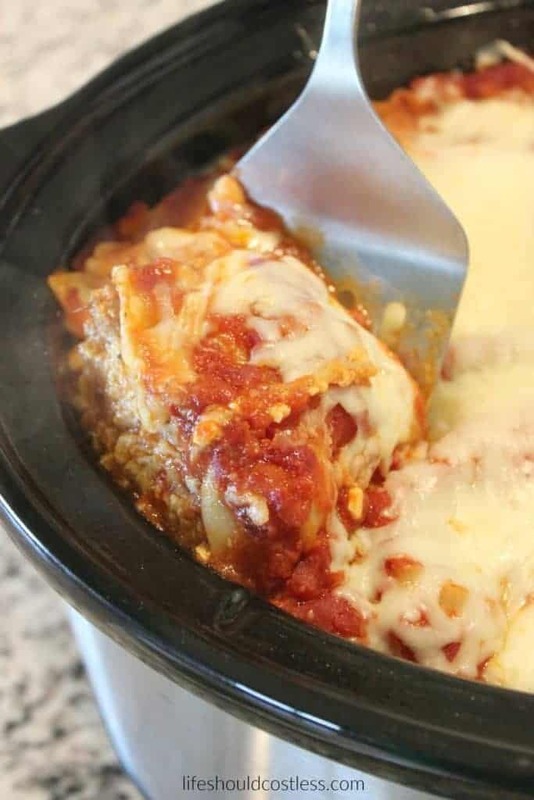 Spread Lasagna noodles (uncooked) over the sauce. Break noodles as needed to go around the curves of the slow cooker. Next, add half of the cheese mixture and spread evenly. Followed by half of the meat mixture spread evenly. One last layer of noodles. Cover the noodles with the remaining half jar of spaghetti sauce and spread evenly. Put lid on slow cooker, cook on low for four to five hours. At the last 10-15 minutes of cook time, remove the lid, spread the remaining one cup of Mozzarella out, cover and let cook until melted. Remove lid to cool and it's ready to serve. If you want the sauce thicker, crack the lid for the last half hour or so of the cook time so that some of the moisture will evaporate.